Good News - Gyirong Port on Tibet-Nepal border, about 89km from Kathmandu and 360km from Mount Everest in Tibet side, is now open for foreign travelers. It is available to travel from Kathmandu to Lhasa, or from Lhasa to Kathmandu by land now. Hurry up to enjoy the Himalaya adventures! Why travel to Nepal and Tibet? Tibet and Nepal are two most popular travel destinations on the Himalaya Range. They are friend and neighbor sharing the highest peak of the world – Mount Everest as well as the Buddhism culture. 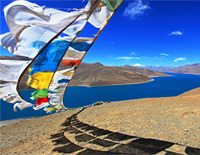 The route from Kathmandu to Lhasa is the most popular tourist itinerary which covers the best sites in Tibet and Nepal. 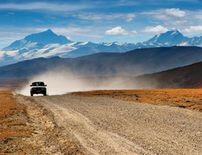 Avoid the boring driving back the same way back to Lhasa/Kathmandu. How to plan a Nepal Tibet Tour? If you start your tour from Kathmandu, you can first spend 2 or 3 days to explore the Kathmandu Valley – Kathmandu, Patan, Bhaktapur, Nagarkot, etc. Then drive from Kathmandu to the border of China and Nepal. After entering Tibet, you can firstly go to explore the Mount Everest. Next destination is the second largest city in Tibet – Shigatse where you can visit some brilliant monasteries. Leaving Shigatse, you can go to visit the holy lake Yamdrok. Lastly, you will get to Lhasa – the capital city. You can spend 2 or 3 days to unlock this holy city. Your tour usually ends at Lhasa, but if you have more time, you can extend your tour to Beijing, Xian, Chengdu, Shanghai and other cities in China. If you prefer to start your tour from Lhasa, which is very common, you only need to upside down the itinerary. The highlights are the same. 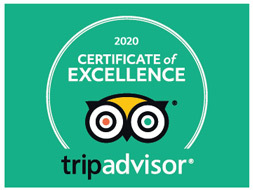 Below are our travel experts' handpicked Nepal Tibet tour packages, which offer up a great combination of must-see highlights and authentic activities to help you discover the unique atmosphere of Tibet. All trips are customizable!